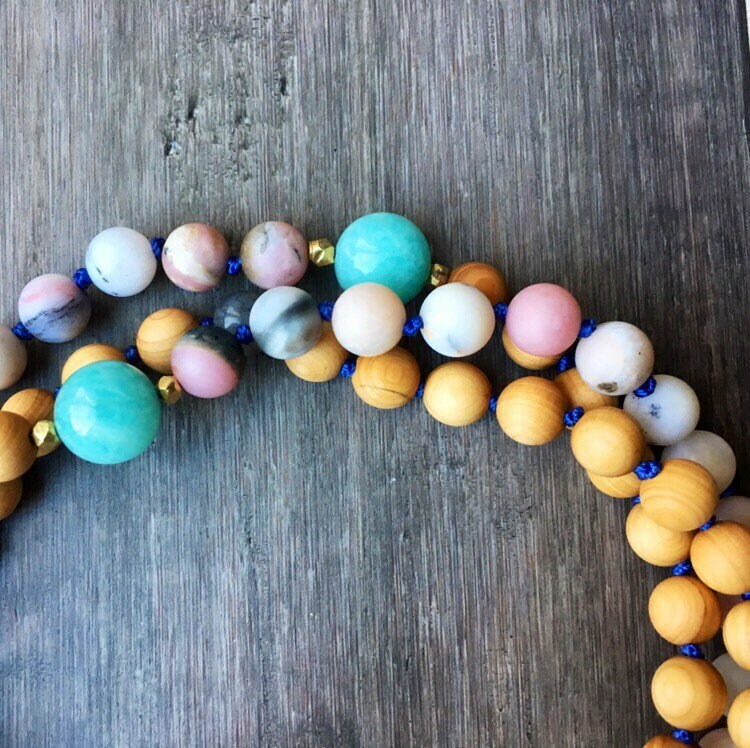 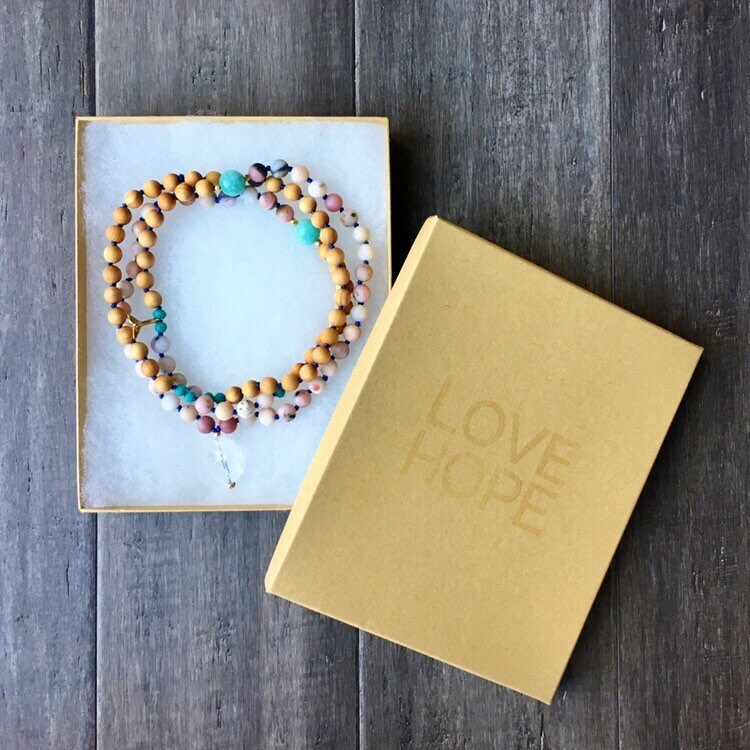 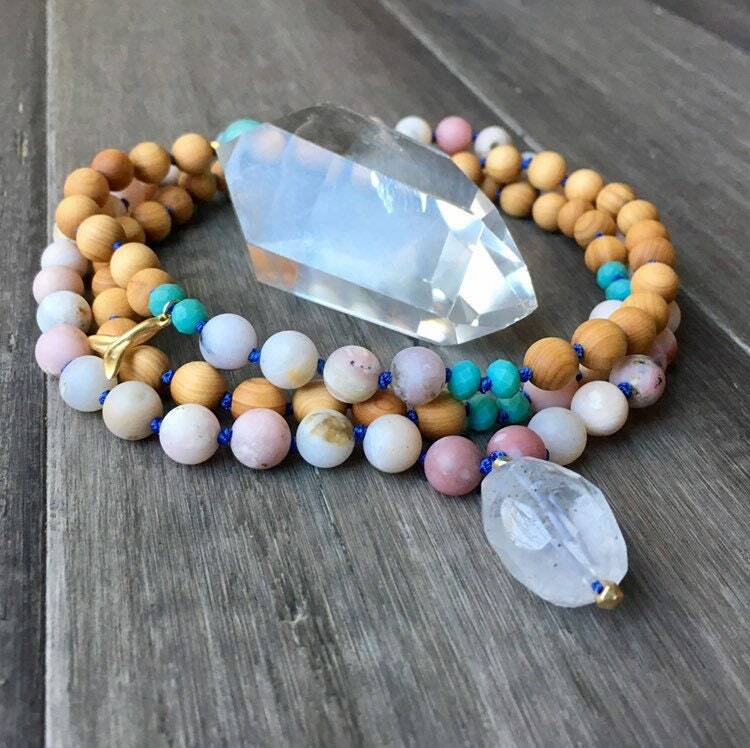 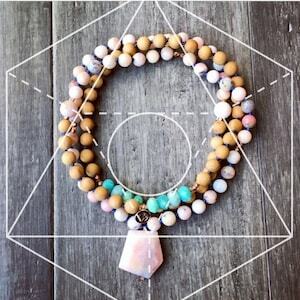 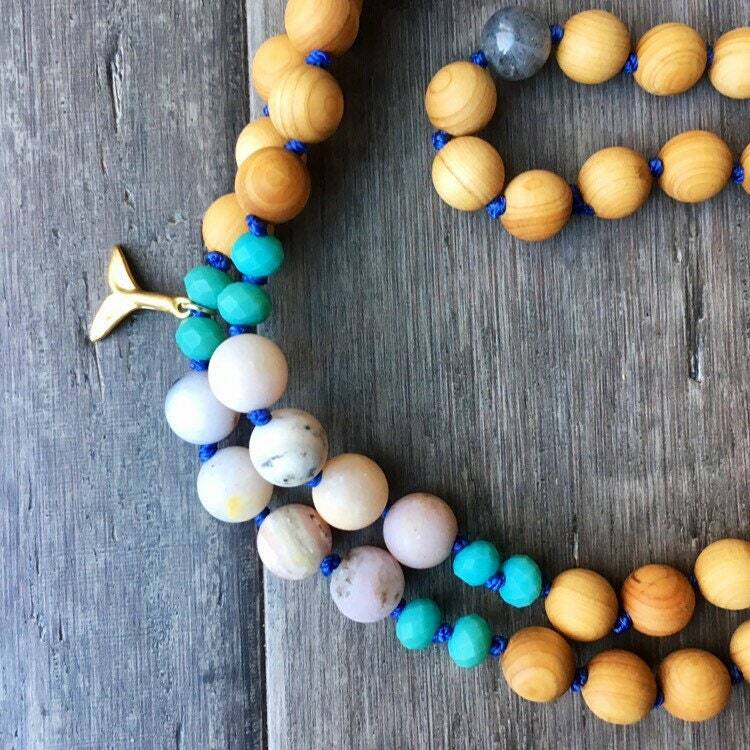 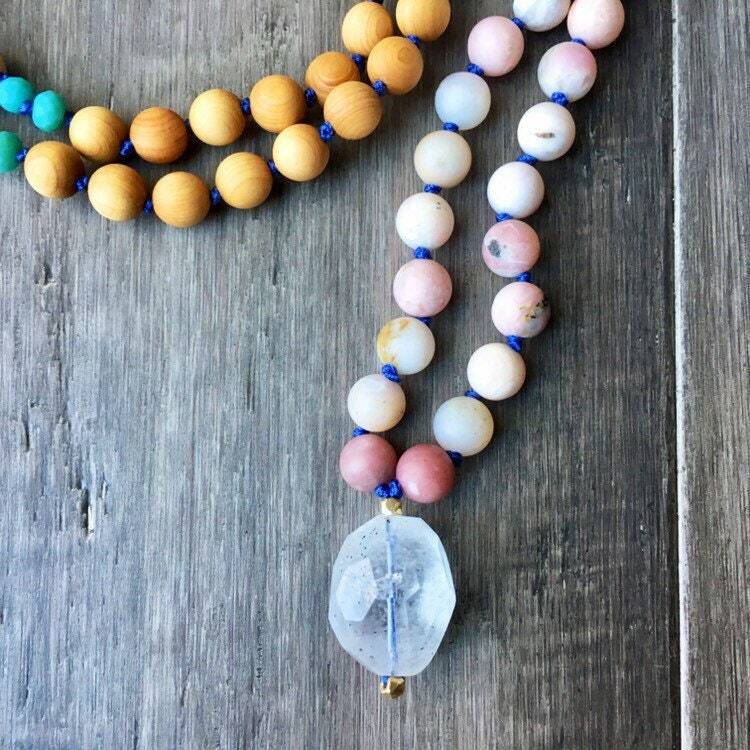 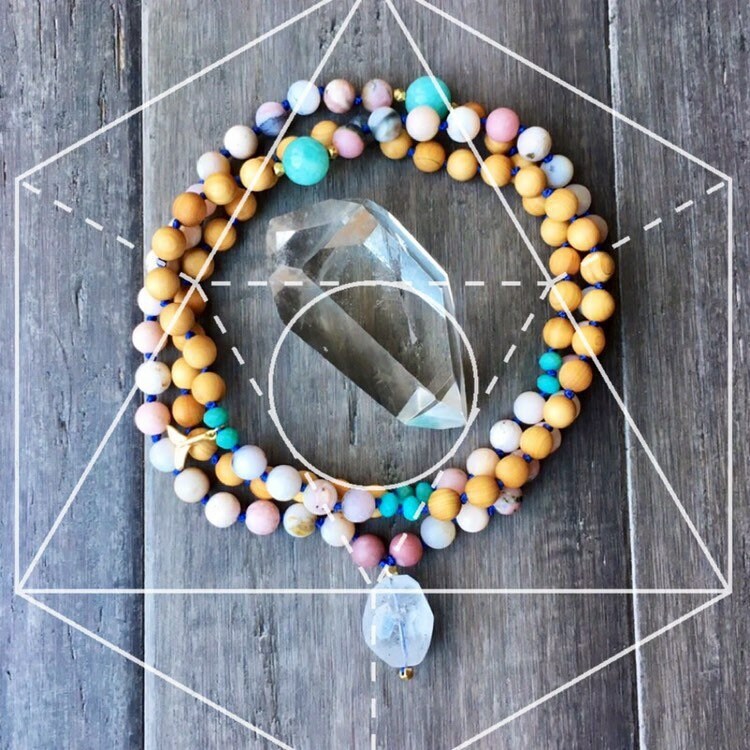 Invite Peace and Tranquility to your Aura with our Pink Opal and Amazonite Mala Necklace. 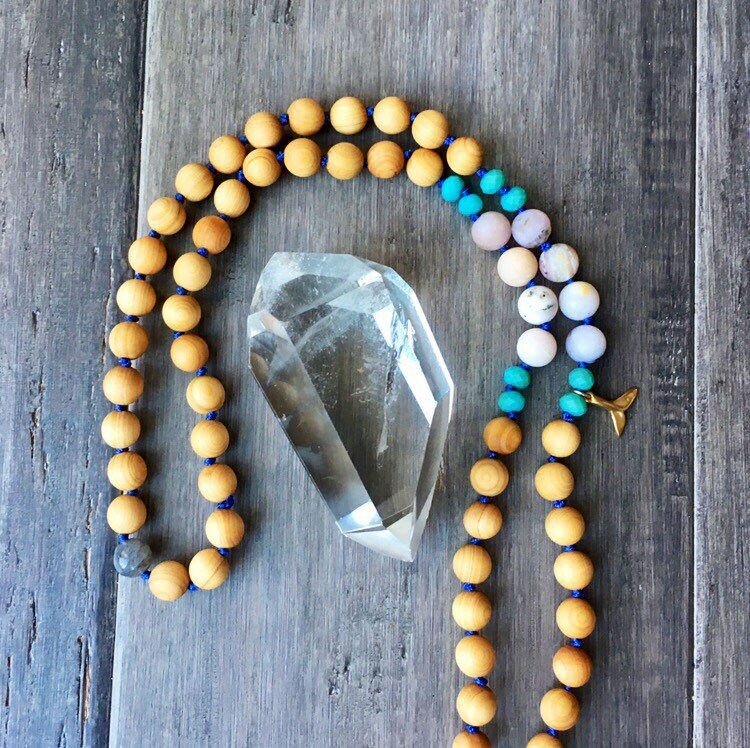 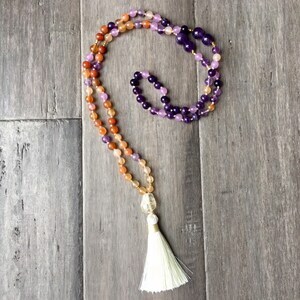 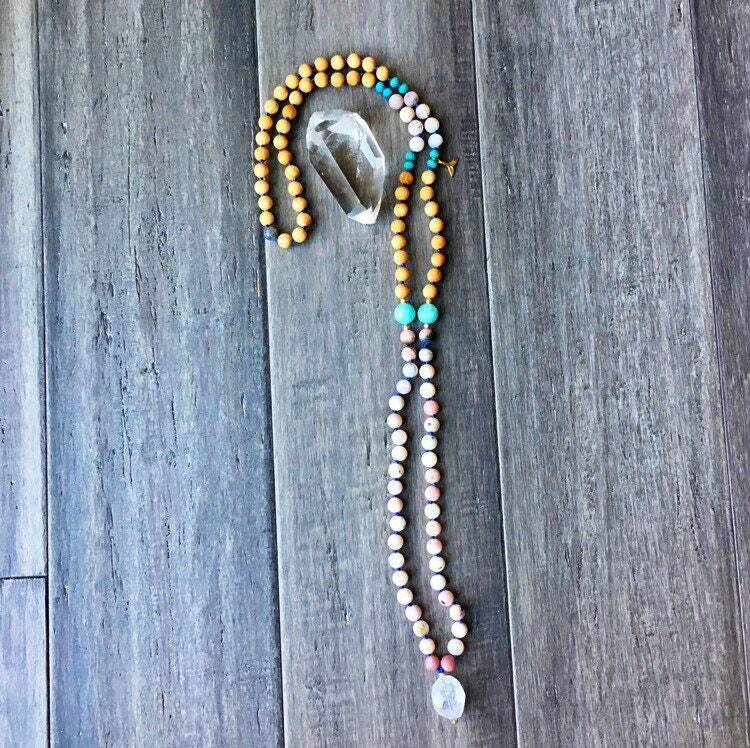 These mala beads are beautiful and beautifully put together. 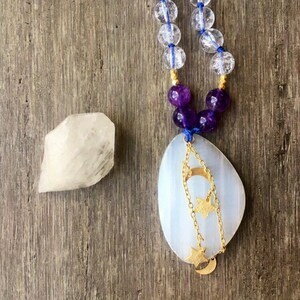 I especially appreciate the thoughtful choices of materials. 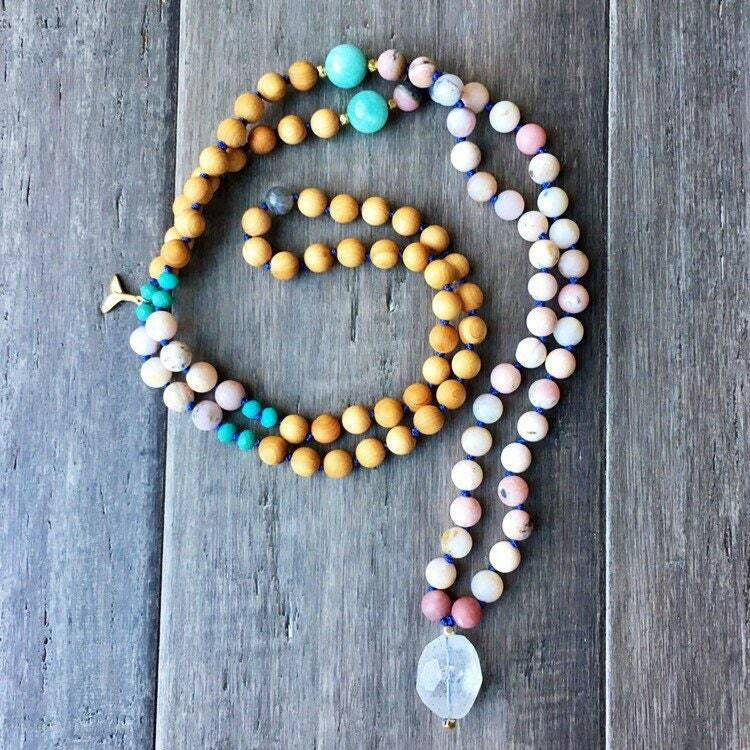 So very happy with this purchase!